A facility’s entrance is the first place a potential client experiences when visiting a building and the final thing they see when they leave. They say it takes less than a minute for somebody to form an opinion on a business, and a study by the Progressive Grocer showed that 91% of shoppers select a store based on its appearance. This means that it’s essential your entrance space is clean and litter free inside and out to make the best first impression. The highly trained staff at Fallow Management understand the importance of establishing and maintaining a foyer/entrance, an entrance that reflects the high standards of the business within. 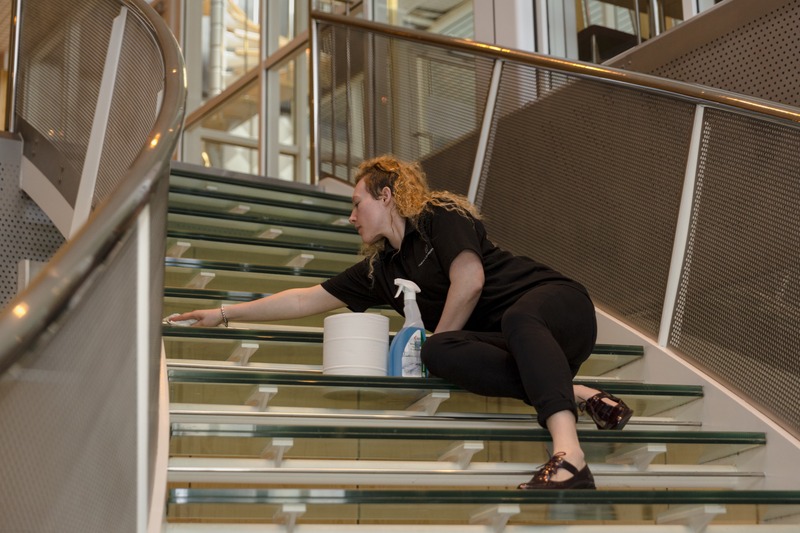 With specialist staff certified in high level cleaning even the highest areas, like lights and vents, can be maintained and kept spotlessly clean. Make a positive, lasting first impression with the help of Fallow Management!